Feel free to read a poem, a short story, or your favorite book in English, Spanish, Chinese, Hindi, Telugu, Portuguese, ASL or any other languages! CREATE A BOOKFACE PHOTO AND ENJOY SOME LIGHT REFRESHMENTS! The U.S. General Services Administration owns one of the oldest and largest collections of publicly owned art. Their collection is spread throughout the United States, housed in or near federal facilities or in non-federal facilities. This collection includes famous pieces, such as Alexander Calder’s “The Flamingo,” which sits outside the Federal Building in Chicago, or the “San Diego Mural,” by Belle Goldschlager Baranceanu. It also includes numerous pieces produced during the Great Depression as part of the New Deal. The GSA Fine Arts Collection, is an interactive web site of these art works. The database includes records of more than 26,000 paintings, sculptures, prints and other art works. The database is searchable by artist, location, and keyword. The U.S. Copyright Office has released a database of court decisions and related materials that help explain the doctrine of fair use. The database includes materials from the Supreme Court, U.S. Courts of Appeal and U.S. District Courts. The database may be searched by key words and limited to cases from specific courts. The searcher can also specify particular types of materials, such as texts, computer programs, paintings, music, parodies, films, etc. In honor of National Poetry Month, the Library of Congress has released the Archive of Recorded Poetry and Literature. This free database includes digitized audio recordings of lectures, interviews, and readings. The online database represents a sample of the entire Archive, which is available only at the Library of Congress. It consists of almost two thousand recordings , some previously available only on magnetic tape reels. Among the authors in the database are C. D. Wright, William Styron, Gwendolyn Brooks, Mario Vargas Llosa, Czeslaw Milosz, Anne Sexton, Margaret Atwood, Kurt Vonnegut, Robert Frost, Audre Lorde, and Ray Bradbury. August 9, 2014, Officer Darren Wilson fatally shot Michael Brown in Ferguson, Missouri, a suburb of St. Louis. The prosecutor brought the case to the grand jury to determine if there was probable cause to indict Officer Wilson. The grand jury decided not to indict him. Recently, news organizations reported that the U.S. Justice Department may bring a lawsuit against the Ferguson, Missouri, police department charging them with a pattern of racially discriminatory practices. Usually grand jury proceedings are secret but, in a surprising move, the grand jury proceedings and documents in this case were released to the public. All or parts of these documents were available on various news sites, but the documents have all now been made available by the Stanford University libraries, with the intention that they will remain available long after the news organizations have removed them from their web sites. Among the documents that were released are grand jury testimony, transcripts of policy calls, autopsy reports, DNA and firearm analysis, medical records, toxicology reports, and witness interviews. Looking for more detailed information about the CIA’s interrogation techniques? The “Report of the Senate Select Committee on Intelligence Committee Study on the Central Intelligence Agency’s Detention and Interrogation Program” is now available. This publication includes additional views of various Senators. 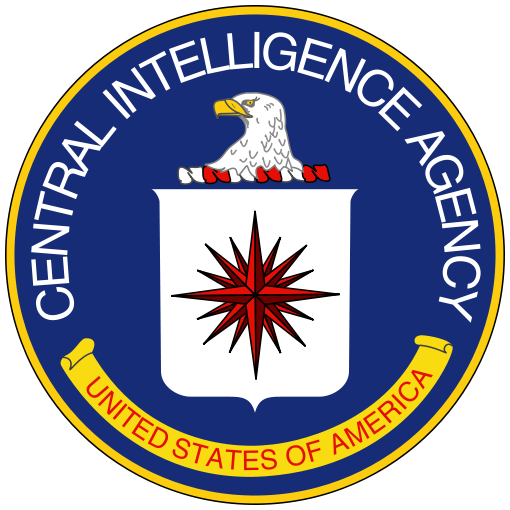 An appendix lists all CIA detainees 2002-2008. The full, classified version of the report is not available to the public. This 700-page declassified version includes numerous blacked-out sections of text. All BGSU materials checked out to undergraduate students and courtesy card holders must be returned or physically presented for renewal by the end of the semester due date. Renewals begin 12/12/14. Check your library record under “My Library” at https://maurice.bgsu.edu/patroninfo.html, from the libraries’ web page, or ask for a list from a Circulation Desk personnel. If you have a problem with any of the items, talk to a Circulation Desk Staff member. You’ll need your BGSU ID and you must be returning for classes in the Spring to renew. Please don’t attempt to renew online or by telephone at the end of any semester. Talk to a staff member about renewing OhioLINK materials. To ensure continuing access to research databases and OhioLINK borrowing, make sure your account is clear of anything due on or before December 20, 2014 for undergraduates and courtesy card holders. Online renewal is not available at the end of the semester. Questions can be directed to circdesk@bgnet.bgsu.edu or (419) 372-2051. Be sure to check the library hours before expecting services to be available, especially during breaks. Graduate students and university staff may renew online for the end of both summer and fall semesters. The end of academic year renewals (Spring Semester) still requires either returning or presenting materials for renewal. Graduating students must return borrowed items. On Friday, 12/12/14, all continuing graduate students and current staff will be updated to an expiration date of 5/19/15. All eligible materials (not on hold, not recalled, etc.) may be renewed online before they are overdue. See your library account for all due dates at https://maurice.bgsu.edu/patroninfo.html for due dates or ask for a list from Circulation Desk personnel. Double check due dates after online renewal that renewals are accomplished. in-person with the material and your BGSU ID. New Spaces Revealed! (Coming Soon)! Toward the beginning of Spring semester you can expect to see some cool new spaces on the first floor of the Library. There will be a new classroom, 2 consultation rooms, AND 3 reservable group study rooms! You can also look forward to seeing new furniture, carpet, and colors in the area. Stay tuned!